Pro-Treat maintains the aroma, full-flavor and nutritional value of 100% beef liver. 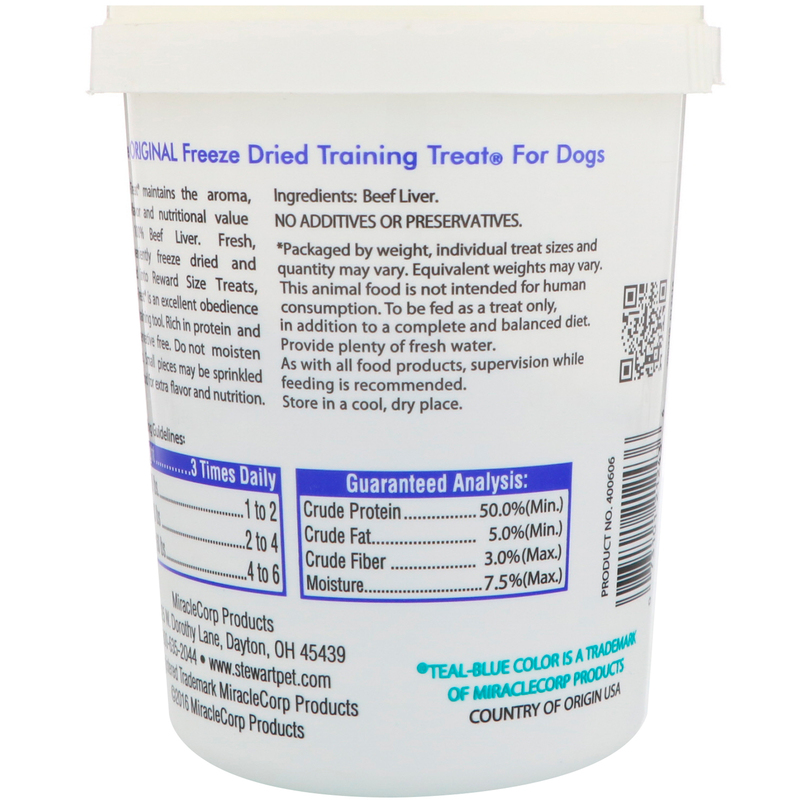 Fresh, conveniently freeze dried and diced into reward size treats, Pro-Treat is an excellent obedience and training tool. Rich in protein and preservative free. Do not moisten treats. Small pieces may be sprinkled on food for extra flavor and nutrition. * Packaged by weight, individual treat sizes and quantity may vary. Equivalent weight may vary. This animal food is not intended for human consumption. 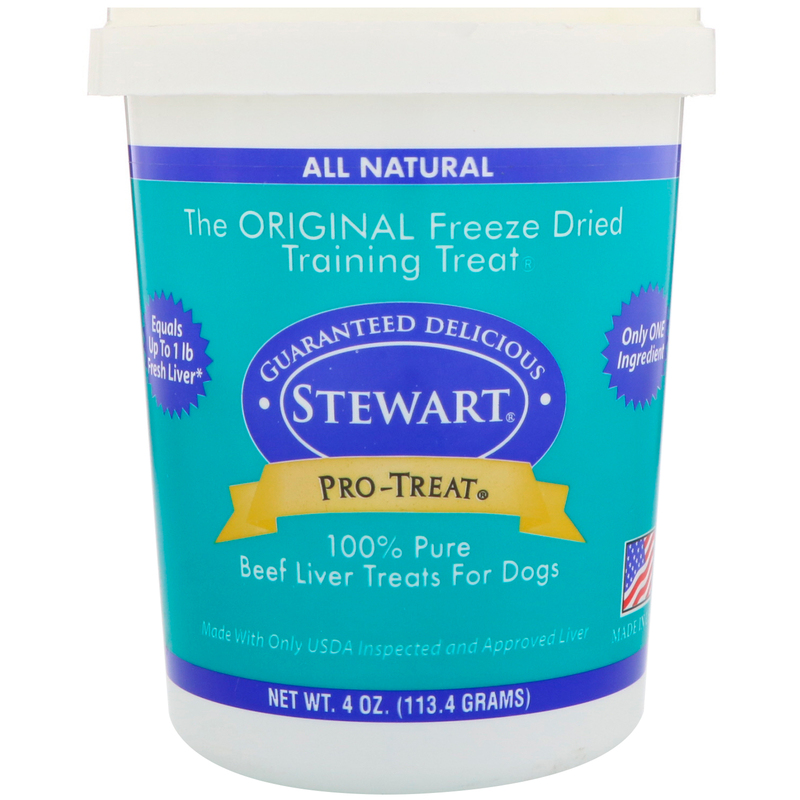 To be fed as a treat only, in addition to a complete and balanced diet. Provide plenty of fresh water. As with all food products, supervision while feeding is recommended. Store in a cool, dry place.